You Murder to be Beautiful. Most people do not realize that everyday products from house hold cleaning items to putting makeup on, is killing animals. "The Food and Drug Administration (FDA) defines cosmetics as "articles intended to be applied to the human body for cleansing, beautifying, promoting attractiveness, or altering the appearance without affecting the body's structure or functions." Examples include skin cream, perfume, lipstick, nail polish, eye and facial makeup, shampoo, and hair color. Any ingredient used in a cosmetic also falls under this definition. Products normally labeled as cosmetics are classified as drugs when a medical claim is made. For example, toothpaste is sometimes classified as a cosmetic, but toothpaste that advertises cavity protection is a drug. The same is true for deodorants advertised as antiperspirants, shampoos that make anti-dandruff claims, and lotions that contain sunscreen. Oddly, simple soaps that make no claim other than cleansing are not considered cosmetics under the FDA definition." Is using animals to test cosmetics legally required in the United States? "No. The Federal Food, Drug, and Cosmetic Act (regulated by the Food and Drug Administration) prohibits the sale of mislabeled and "adulterated" cosmetics, but does not require that animal tests be conducted to demonstrate that the cosmetics are safe." 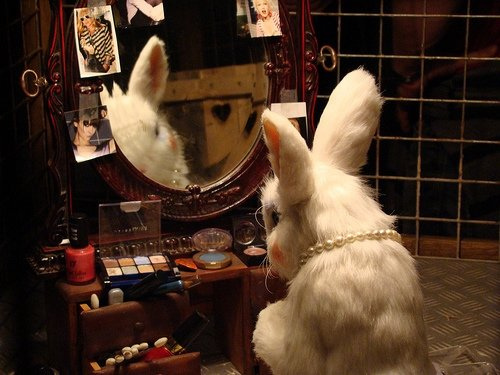 How can cosmetics companies ensure safety without using animal tests? "Companies can ensure the safety of their products by choosing to create them using the thousands of ingredients that have a long history of safe use. There are already many products on the market that are made using such ingredients. Companies also have the option of using existing non-animal tests or investing in and developing alternative non-animal tests for new ingredients. There are a growing number of non-animal tests that can be used to assess the short-term safety of previously untested ingredients (see "What are the alternatives to animal testing?"). Non-animal tests for longer term safety are under development." "Cosmetics companies can stop animal testing immediately and still produce new and exciting beauty products that are also safe by manufacturing the cruelty-free way. First, companies can use ingredients that are already known to be safe, of which there are thousands. These ingredients have been safely used for decades or have been tested in the past and don’t require new testing. This is how so many socially conscious companies have been able to swear off animal testing. Secondly, companies can use non-animal tests that are already available or invest in the development of new non-animal methods. Nearly 50 non-animal tests have been validated for use, and these modern alternatives can offer results that are not only more relevant to people, but more efficient and cost-effective.Advanced non-animal tests represent the very latest techniques that science has to offer, replacing outdated animal tests that were developed decades ago. Since animal testing for cosmetics and the marketing of cosmetics tested on animals have been completely banned in the European Union, there are many efforts underway to find alternatives for all of the common cosmetics tests that use animals. Cosmetic companies in the United States that conduct animal tests will not be able to sell those products in Europe unless they change their practices."